Oliver is an Australian skateboarder that grew up in Papua New Guinea. He has traveled to over 50 countries and spent the last seven years or so in Afghanistan. Being that Oliver has been an avid skateboarder since he was six years old, it wasn’t uncommon for him to take his skateboards on his overseas trips. In 2007, he went to Kabul where he built bonds with Afghan children, then offered them lessons. Consequently, he founded Skateistan which uses skateboarding to connect children to education. Knowing that there weren't many opportunities for girls and they are less likely to garner an education, he took a particular interest in empowering them through skateboarding lessons. Oliver explains that the popular sports had been exclusive to boys. He wasn't quite sure how girls were able to skate, yet, they were discouraged from other sports. "And I realized skateboarding was a loophole. It was so new that nobody had a chance to say that girls couldn't do it yet." The lessons he was providing for children grew into an idea to connect them with essential resources and education. Some of the girls he taught were extremely poor. Some took to the streets to beg to support their families. In spite of his best intentions, Oliver wasn't in the best financial position to offer assistance. He was far away from family and friends, living on less than 10 dollars a week, and in one of the most dangerous cities in the world. Initially, starting a nonprofit did not seem like a smart idea. With six years since its inception, Skateistan went on to build two of the largest indoor sporting facilities in Afghanistan. The organization was recently recognized by the President of Afghanistan, Ashraf Ghani in his speech to the U.S. Congress. 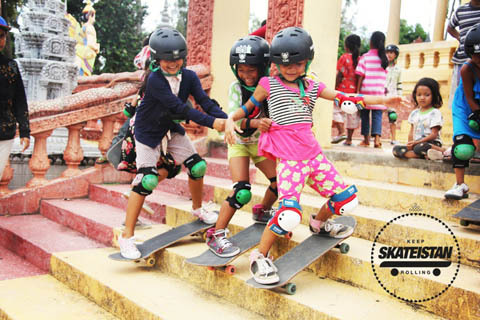 Specializing in conflict zones and aiding children who are facing obstacles, Skateistan has developed projects in Cambodia and South Africa. Oliver says that the skateboard community creates hope. A girl who's accomplished something that seem difficult is seen as someone to respect and not pitied. 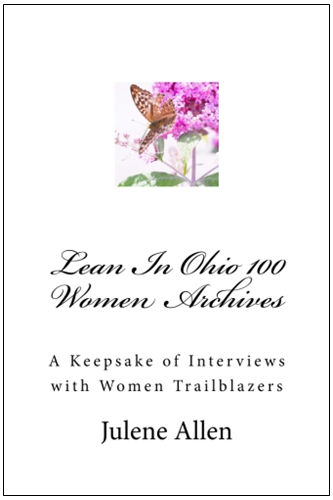 The organization has had an overwhelming amount of success. Globally, only about 5% of skateboarders are girls. However, In Afghanistan, girls make up 40% of the skateboarders. Additionally, skateboarding is now the largest female sport in the country. "The key is not skateboarding. The key is the power of sharing something you love. And with persistence, it can grow into something quite unexpected and truly amazing," said Oliver. Women For Action: Oliver, what is the core philosophy of skateboarding that you think makes it a strong agent of change? Oliver Percovich: Skateboarders bond together through a shared passion for the sport. These friendships that are formed allow skateboarding to be a change agent. Women For Action: Girls in Afghanistan are not allowed to bike. Now skateboarding is the biggest sport in Afghanistan and 40% of your students are girls. This is revolutionary! 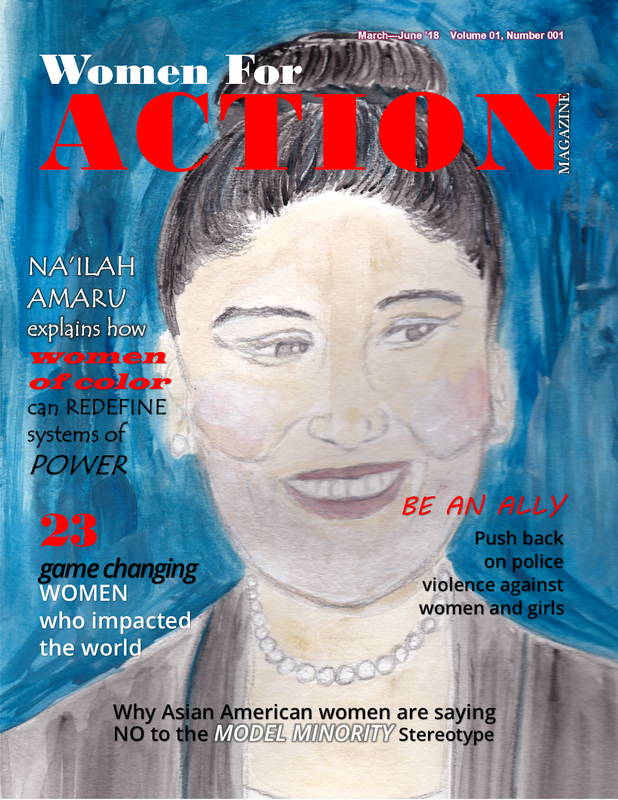 Plus, I admire Hanifa‘s story. She went from selling tea in the streets to being a skateboard instructor. This is particularly fascinating because, in some parts of Afghanistan, girls are discouraged from participating in activities outside of them preparing for marriage and having a family. How has Skateistan been able to reach out to girls and facilitate reclaiming their stories? Oliver Percovich: We make enormous efforts to ensure that our programming is safe and also culturally appropriate. For girls, this is especially important, so our boys' and girls' classes happen on different days of the week, with all-female teachers for the girls and safe transport to and from Skateistan. We have a dedicated support officer who meets regularly with students’ families and maintains good relationships with them. We also invite families to regular community events at the skate school. 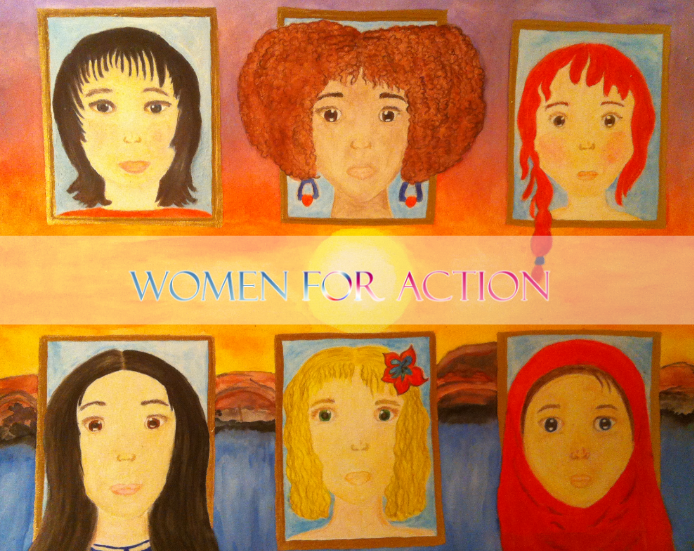 Women For Action: Your projects have extended to Cambodia, South Africa, and Afghanistan. What led to choosing these areas for Skateistan’s initiatives? Oliver Percovich: We have chosen locations across the globe by identifying the most at-risk areas for youth where we can start training a dedicated team on the ground. The goal is for each Skateistan skate school to be run entirely on ground level by local staff. Afghanistan is a war-torn country where only 13% of females are literate. When I first started skating the streets of Kabul in 2007 and realized girls were joining in, I had the idea of using the skateboard as a tool for education and opportunities. Many of Skateistan’s first students were street working girls. There’s also the fact that skateboarding is still quite a new sport in Afghanistan, so it isn’t hard to attract the attention of youth. Skateboarding had a similar effect with kids in Cambodia – until a few years ago not many people there had ever seen a skateboard before. Over half the population is under 25 years old, and it’s one of the poorest nations in South-East Asia. In South Africa, kids know about skateboarding but don’t necessarily have access to a board (or anyone to teach them), so the attractiveness of it is still a big factor. We use it to break barriers like social discrimination and to help keep kids off the streets and away from the influence of violence and drugs in a safe, creative environment. 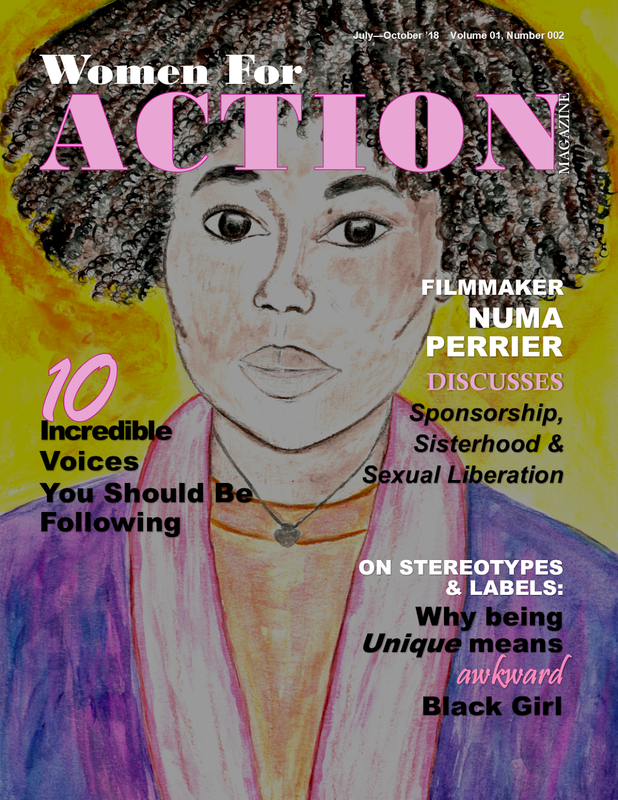 Women For Action: You unite skateboarding and education for students. 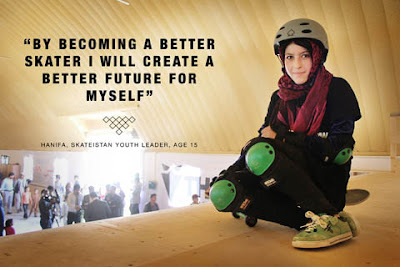 In conjunction to skateboarding, Skateistan offers three programs: One, skate and create; two, back to school program and three, youth leadership. These programs have helped your organization expand its mission and reach out to children with different types of needs. What was the most difficult challenge you faced? Women For Action: Skateistan started in Kabul in 2007 and has had several projects since in places that are in political and social unrest. Can you tell us about the most significant moment when you were able to change the life of a child? Oliver Percovich: I think it was at the opening of the Kabul facility in November 2009. We had built all of the ramps together with the students from the fountain and they were skating real skateboard ramps for the first time. The looks on the girls’ faces were priceless. They could go so much higher and faster than they had ever done before. They were all so excited. Seeing them skating together - around 25 boys and girls - was a really exciting moment. I thought then that the skate school really has potential to change the outlook of youth in the city. Ultimately, it has done that, but it was scary building all this infrastructure and doing this huge investment in a skate park in Kabul, without knowing whether it would all work. When I saw the children skateboarding in the park for the first time I knew that it would work. I was really happy and felt a sense of calm. Since then, I’ve seen so many young people grow up with Skateistan. Twenty-nine of our current staff members were originally students; it’s so great to see that they have made better futures for themselves and are all so passionate about working for Skateistan. Women For Action: Skateistan's logo is a skateboarder crashing an AK-47. It is a simple expression yet it makes a strong declaration of peace. How do you foresee this mission being carried out in the future and or where might Skateistan be headed next? Oliver Percovich: In April this year, Skateistan had an incredible form of recognition from the new President of Afghanistan himself in his speech to US congress! This year we will be building a skate school at the newest Skateistan project site in Johannesburg, South Africa. Skateistan puts a lot of effort into making sure each project is run with quality programs and local staff, so all our energy will be put into that for now. After that, we plan on expanding our programs across the globe, one skate school at a time. For more, visit Skateistan's website.